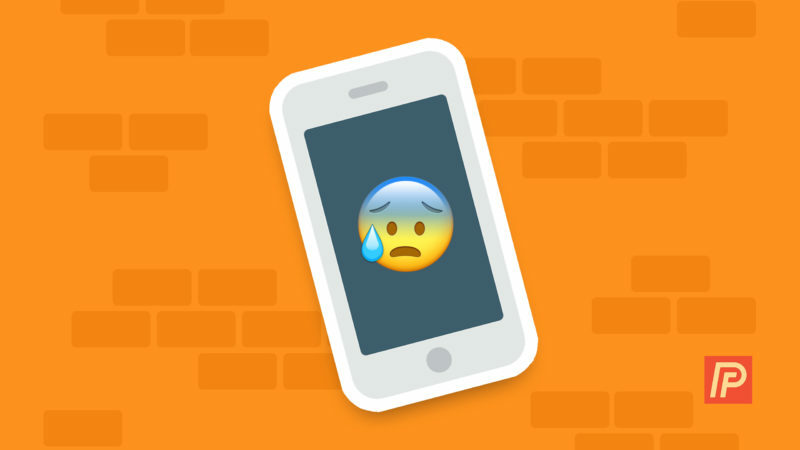 You are at:Home»iPhone»iOS»How Do I Fix A Bricked iPhone? Real Unbrick Fixes! We’ve all been there: You plug your iPhone into your computer to update to the latest version of iOS, and halfway through the update process, an error message pops up in iTunes. Your iPhone had been working perfectly, but now the connect to iTunes logo is stuck on your iPhone’s screen and it won’t go away. You try resetting and restoring, but iTunes keeps giving you error messages. “My iPhone is bricked”, you think to yourself. What Is A Bricked iPhone? Having a bricked iPhone means your iPhone’s software is corrupted to the point of no repair, making your iPhone appear to be an expensive aluminum “brick”. Luckily, it’s almost impossible to permanently brick an iPhone. In this article, I’ll show you how to fix a bricked iPhone. There are only three real fixes for repairing a bricked iPhone: hard resetting your iPhone, restoring your iPhone, or DFU restoring your iPhone. I will walk you through how to do all three in the paragraphs below. Note: If possible, please backup your iPhone before starting this tutorial. There’s a good chance of losing data during this process because iOS usually needs to be restored to factory settings to be repaired. The first thing to try in order to unbrick a bricked iPhone is a hard reset. To do this, just hold down your power button (top/side button) and Home button (button at the bottom of the screen) until your iPhone reboots and the Apple logo appears on the screen. To hard reset an iPhone 7 or 7 Plus, begin by pressing and holding the volume down button and power button at the same time. Then, let go of both buttons when the Apple logo appears in the center of your iPhone’s display. Don’t be surprised if it takes as long as 20 seconds! 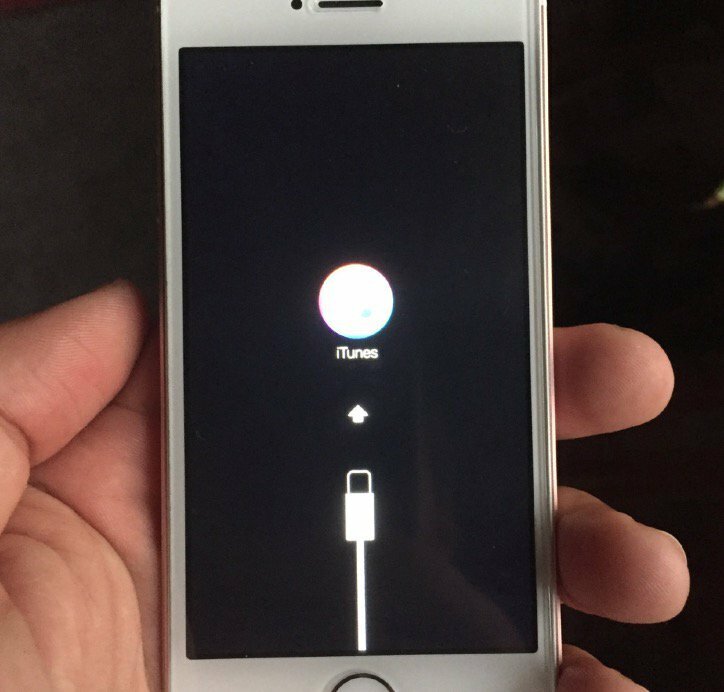 After your phone reboots, it’ll either boot back into iOS or return to the “plug into iTunes” screen. If the connect to iTunes logo appears again, move on to the next step. A quick word of warning: Please note that if you don’t have a backup on your computer or on iCloud, you will lose data during this process. Open iTunes on your computer and click the small iPhone button at the top-center of iTunes. Click the Restore button on the right-hand side of the screen. Confirm that you want to restore in the pop-up window that appears. Wait around 15 minutes for your iPhone to restore to factory settings. If an error message appears while you’re trying to restore your iPhone, the next step in the process of unbricking your iPhone is to DFU restore your phone. A DFU restore is a special kind of iPhone restore that wipes both software and hardware settings, giving your iPhone back a “clean slate”. Please note that DFU restoring your iPhone, like a standard restore, will erase all content and settings from your device. If you don’t have a backup, you will definitely lose your data at this point. The good news is that a DFU restore will almost always fix a bricked iPhone. To perform a DFU restore, follow the Payette Forward guide. If your iPhone still isn’t restoring, your iPhone may have a hardware issue and need to be repaired. If you want to bring your iPhone into the Apple Store for assessment and repair, make sure to make an appointment online before stopping in. If you don’t want to go to the Apple Store, read my article about the best local and online iPhone repair options. And there you have it: how to unbrick your bricked iPhone. In the comments, let us know which one of these solutions finally brought your iPhone back to life. Thanks for reading! Previous ArticleMy iPhone Location Is Wrong! Here’s The Fix. Next Article My iPhone Microphone Is Not Working! Here’s The Fix.